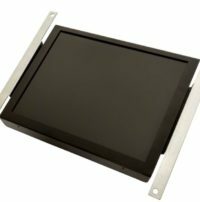 LCD Upgrade Kit for 9-inch Cincinnati Milacron Acramatic 900 CRT, 1-228-0028, Siemens 3-424-1865A. Full cable kit for complete conversion. Monitech works with many different suppliers to ensure that you receive a quality monitor, quickly, and for a fantastic price! The Cincinnati 1-228-0028 is no exception. With customers from all over the world looking to upgrade their Cincinnati 1-228-0028 monitors, we have perfected the design of our LCD monitor to suit your needs, whatever they may be! To purchase a Cincinnati 1-228-0028, please click ADD To CART. 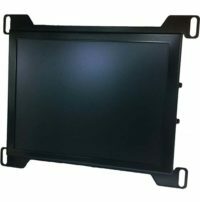 LCD Upgrade Kit for 12-inch Cincinnati Milacron Acramatic 900 CRT, 1-288-0028, 1-024-0577. Full cable kit for complete conversion. Monitech works with many different suppliers to ensure that you receive a quality monitor, quickly, and for a fantastic price! The Cincinnati 1-288-0028 is no exception. 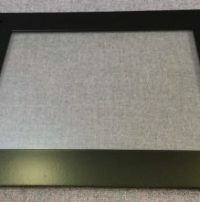 With customers from all over the world looking to upgrade their Cincinnati 1-288-0028 monitors, we have perfected the design of our LCD monitor to suit your needs, whatever they may be! To purchase a Cincinnati 1-288-0028, please click ADD TO CART. 5-wire touchscreen + counter bezel for 14 inch Cincinnati Milacron 950, Also works for Barber Colman MACO 8800. Warranty included. 9-inch Cincinnati Milacron Acramatic 750 CRT, Ball CD9 CRT. Full cable kit for complete conversion. Monitech works with many different suppliers to ensure that you receive a quality monitor, quickly, and for a fantastic price! The Cincinnati Milacron Acramatic 750 is no exception. With customers from all over the world looking to upgrade their Cincinnati Milacron Acramatic 750 monitors, we have perfected the design of our LCD monitor to suit your needs, whatever they may be! To purchase the Cincinnati Milacron Acramatic 750, please click ADD TO CART. 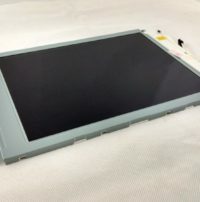 LCD Upgrade for 12” Cincinnati Milacron Acramatic 850 CRT, 3-525-0970A, 1-288-0027, Siemens 850, 3-424-2039A. Includes full cable kit. Monitech works with many different suppliers to ensure that you receive a quality monitor, quickly, and for a fantastic price! The Cincinnati Milacron Acramatic 850 is no exception. With customers from all over the world looking to upgrade their Cincinnati Milacron Acramatic 850 monitors, we have perfected the design of our LCD monitor to suit your needs, whatever they may be! To buy the Cincinnati Milacron Acramatic 850, please click ADD TO CART. LCD Upgrade Kit for 14-inch Cincinnati Milacron Acramatic 850 CRT, 3-711-2666G. Comes with full cable kit for complete conversion. Monitech works with many different suppliers to ensure that you receive a quality monitor, quickly, and for a fantastic price! The Cincinnati Milacron Acramatic 850 is no exception. With customers from all over the world looking to upgrade their Cincinnati Milacron Acramatic 850 monitors, we have perfected the design of our LCD monitor to suit your needs, whatever they may be! To buy the Cincinnati Milacron Acramatic 850, please click ADD TO CART. This is just the LCD, Do you also need the Touchscreen? 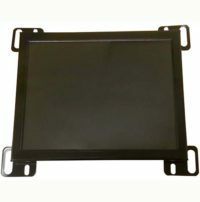 LCD Upgrade Kit for 14-inch Cincinnati Milacron Acramatic 850/950 CRT, 3-424-2026A, Magnum 1000H, M34AFA83X01. Includes all power and video cables as well as warranty. MF950T Touch screen and front counter bezel sold separately. Touch Screen for CUTLER HAMMER: Panelmate 39PTHX PM3000 Power Series. Panelmate Part #92-01813-01 . Made of durable industrial material for long life span. Dimensions are 228 mm x 170 mm from edge to edge. This item is in stock and ready to ship to you today. Click on ADD TO CART to purchase this unit to upgrade your current dim touchscreen fast and easily. Monitech works with many different suppliers to ensure that you receive a quality monitor, quickly, and for a fantastic price! With customers from all over the world looking to upgrade their Cutler Hammer Panelmate 4000 monitors, we have perfected the design of our LCD monitor to suit your needs, whatever they may be! To purchase a Cutler Hammer Panelmate 4000, please click ADD TO CART. Monitech works with many different suppliers to ensure that you receive a quality monitor, quickly, and for a fantastic price! The Cutler Hammer Panelmate 91-00744-10 is no exception. With customers from all over the world looking to upgrade their Cutler Hammer Panelmate 91-00744-10 monitors, we have perfected the design of our LCD monitor to suit your needs, whatever they may be! To purchase a Cutler Hammer Panelmate 91-00744-10, please click Add TO CART. 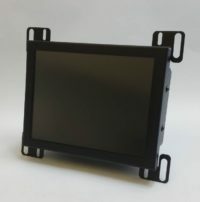 Monitech has developed a replacement solution for the Panelmate 91-00821 display with a quality LCD monitor, with easy installation and for a fantastic price! 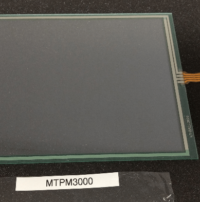 The Cutler Hammer Panelmate 91-00821 OEM display has the old CRT technology. Monitech LCD monitor is low power, and very durable, and it ships with the cables needed to retrofit this unit in less than 1 hour. To purchase a Cutler Hammer Panelmate 91-00821, please click ADD TO CART. Monitech works with many different suppliers to ensure that you receive a quality monitor, quickly, and for a fantastic price! The Cutler Hammer Panelmate 91-00918-03 is no exception. With customers from all over the world looking to upgrade their Cutler Hammer Panelmate 91-00918-03 monitors, we have perfected the design of our LCD monitor to suit your needs, whatever they may be! To request a quote for a Cutler Hammer Panelmate 91-00918-03, please contact us. Monitech Premium quality Cutler Hammer Panelmate 91-00992-00 LCD upgrade kit. Includes cables and warranty. 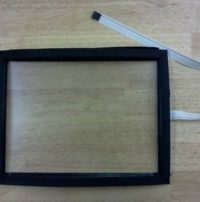 Replace a burnt-in CRT from a Cutler-Hammer Panelmate CRT with quality LCD monitor, quickly, and for a fantastic price! Monitech replacement solution to Cutler Hammer Panelmate 91-01213-04 is designed for a quick fit, with plug and play cables. This means you simply replace Monitech LCD Display in tha same space as the old CRT. Plug in the cables in the cable kit provided and you are up and running! That quickly. To request a quote for a Cutler Hammer Panelmate 91-01213-04, please contact us. The Cutler Hammer Panelmate 91-01536-03 is no exception. With customers from all over the world looking to upgrade their Cutler Hammer Panelmate 91-01536-03 monitors, we have perfected the design of our LCD monitor to suit your needs, whatever they may be! To purchase a Cutler Hammer Panelmate 91-01536-03, please click ADD TO CART. The Cutler Hammer Panelmate 91-01538 is no exception. With customers from all over the world looking to upgrade their Cutler Hammer Panelmate 91-01538 monitors, we have perfected the design of our LCD monitor to suit your needs, whatever they may be! To request a quote for a Cutler Hammer Panelmate 91-01538, please contact us. LCD Upgrade Kit for 14″ Cutler Hammer (16 pin) CRT includes plug and play cables and warranty. Monitech works with many different suppliers to ensure that you receive a quality monitor, quickly, and for a fantastic price! The Cybelec is no exception. 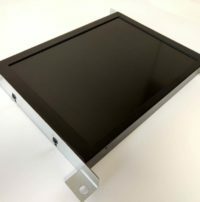 With customers from all over the world looking to upgrade their Cybelec monitors, we have perfected the design of our LCD monitor to suit your needs, whatever they may be! To request a quote for a Cybelec, please contact us. DMF50260NFU-FW-2OSP-700L – Okuma 7000 LCD Display. When ordering this product, Just specify if it is for the Cadet series or the Crown series. Please note there are 2 very similar products (MP7000B). Click ADD TO CART, it is fast and secure. Also, be sure to check out our other Okuma product here. Monitech works with many different suppliers to ensure that you receive a quality monitor, quickly, and for a fantastic price! The Dynapath System 20 is no exception. With customers from all over the world looking to upgrade their Dynapath System 20 monitors, we have perfected the design of our LCD monitor to suit your needs, whatever they may be! To purchase a Dynapath System 20, please click ADD TO CART. 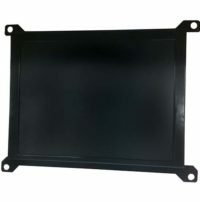 LCD Upgrade Kit for 12-inch monochrome Dynapro 1031 CRT. Full cable kit for complete conversion. Monitech works with many different suppliers to ensure that you receive a quality monitor, quickly, and for a fantastic price! The Dynapro 1031 is no exception. With customers from all over the world looking to upgrade their Dynapro 1031 monitors, we have perfected the design of our LCD monitor to suit your needs, whatever they may be! To request a quote for a Dynapro 1031, please contact us.